7 April 2015, at 12:00a.m. The humble pig is far from 'boaring' - here at ThePigSite, we’ve compiled a list of ten things you may not know about these remarkable animals. 1. Newborn piglets learn to run to their mothers’ voices, and can recognise their own names by the time they’re 2 weeks old. Sows have even been known to 'sing' to their young whilst nursing! 2. Think that pigs are slow and lumbering? As it turns out, they’re not at all! 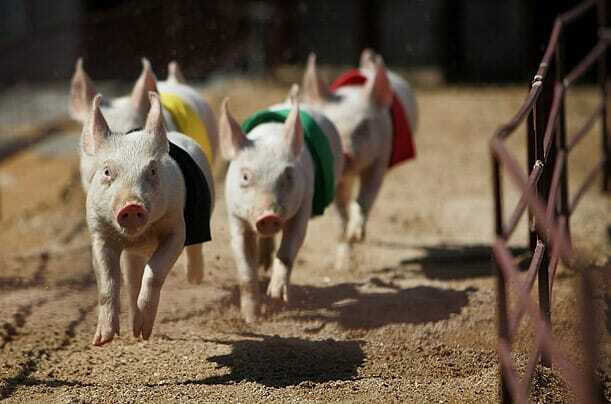 Adult pigs can run at speeds of up to 11mph, or in other words, they can run a seven-minute mile. Could you do any better? 3. 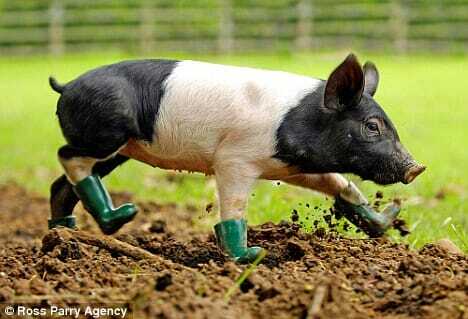 If you’ve ever suggested that someone was ‘sweating like a pig’, then you’d be wrong. 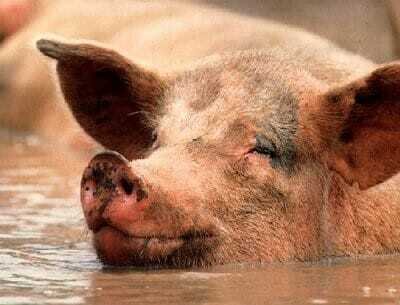 Pigs have hardly any sweat glands, and one of the best ways for them to cool down is to wallow in all of that glorious mud. Click here to learn more about pig anatomy! 4. 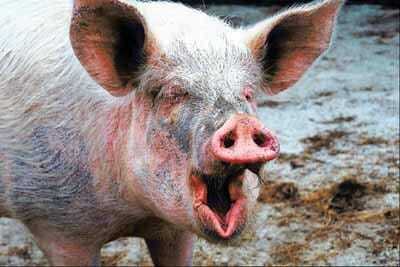 A pig's squeal can be as loud as 115 decibels – that’s 3 decibels higher than the sound of a supersonic airliner. 6. 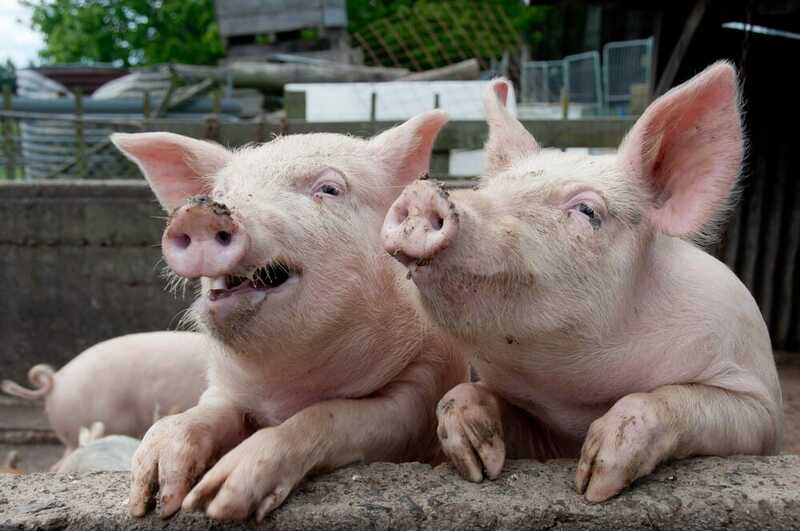 And when they’re not either squealing or talking, pigs will eat almost anything – including human bones. 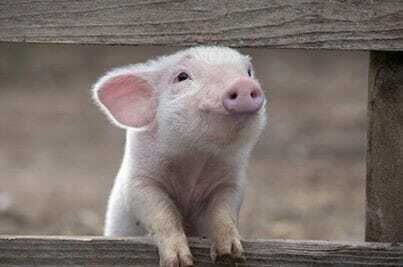 In 2012, a farmer in Oregon, America, was eaten by his pigs after having a heart attack and falling into their enclosure. By the time a concerned relative came looking for him, only his dentures were left. To learn more about pig nutrition, click here. 7. 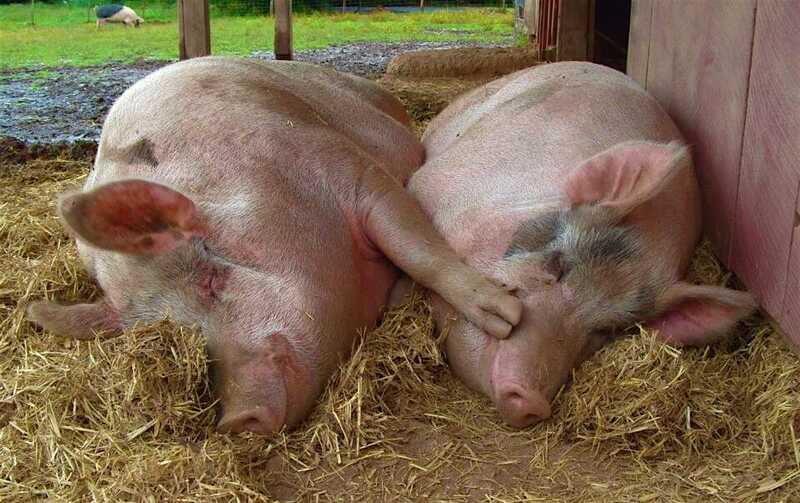 They may be indiscriminate eaters, but pigs are also highly intelligent and incredibly social animals. When kept in a group they will snuggle close to one another, and prefer to sleep nose-to-nose. Studies have also shown that, much like humans, they dream. Click here to learn more about group-housing of sows and why it's important to get it right! 8. 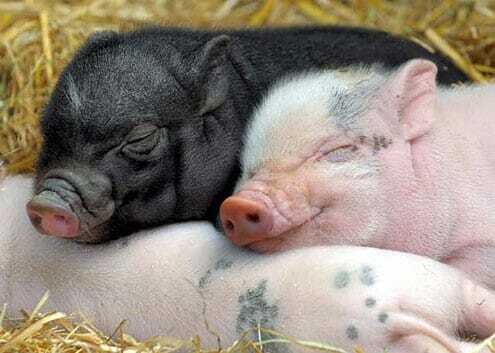 And dreaming isn’t the only way in which pigs are similar to humans – their genetic makeup is also very close to our own. Because of this, stem cells from pigs are being used by scientists to research cures for human diseases. 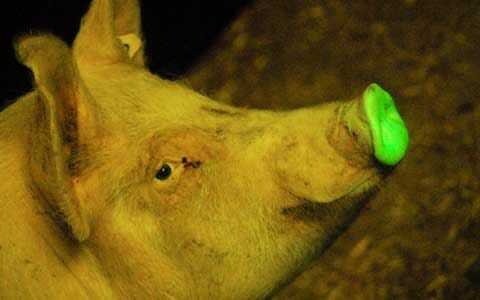 To track the cells once they’ve been injected, Chinese geneticists have crossed a pig with a jellyfish, producing piglets whose tongues and trotters glow fluorescent green in UV light. 9. Aside from their life-saving abilities, the pig is also associated with fertility and virility in China. This has led to statues of pigs being displayed prominently in the bedrooms of Chinese couples who are trying to have children. 10. 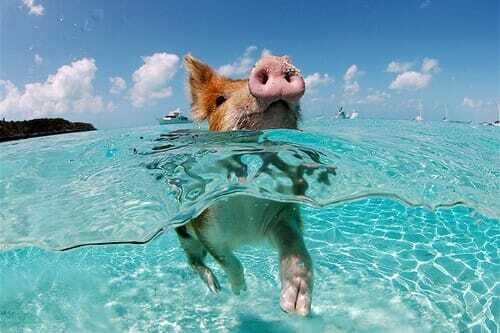 And finally, we’ve all seen pigs wallowing in the mud, but how about swimming in a crystal clear sea? On the uninhabited Bahaman Island of Big Major Cay, that’s exactly what they do. A population of wild aquatic swine rules the island, and many have taken to swimming out to the boats offshore, in the hope of being rewarded with a tasty snack.